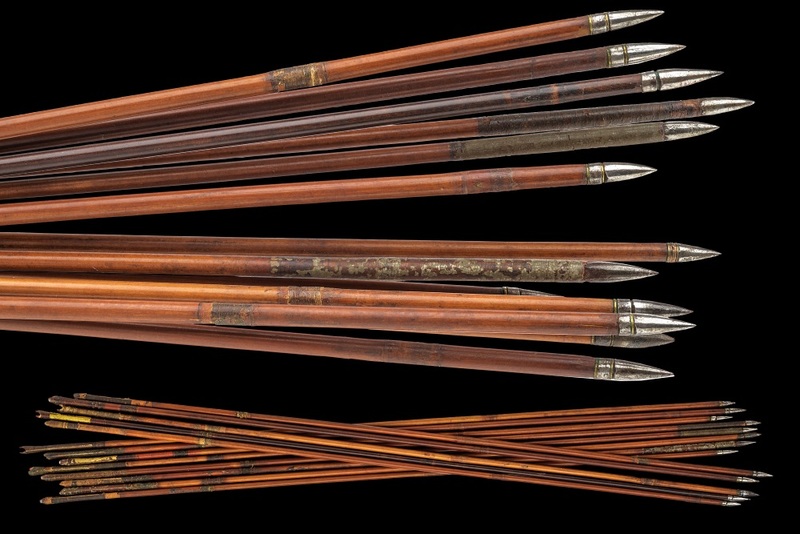 Group of thirteen Indian arrows made of bamboo, partially decorated shaft, conic steel heads. The feathers are missing. Bambu, aço, penas (em falta). Grupo de treze flechas de bambu, com pontas cónicas em aço. Published in : Czerny´s Auction 62 Catalog "Fine & Scarce Antique Arms And Armour 17th of September, 2016" Page - 573 Lot.nº 1062.